Love Dream Stargaze: Sailor Moon Lingerie: Fighting Underwear Boredom By Moonlight?! 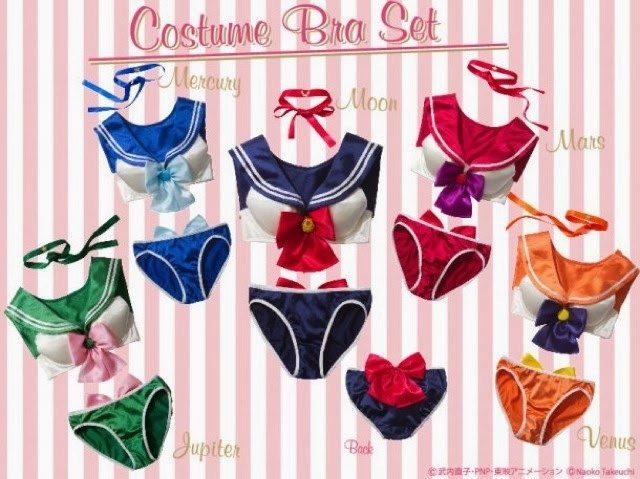 Sailor Moon Lingerie: Fighting Underwear Boredom By Moonlight?! So cute, right!!? Unfortunately, they do not have my size. I mean I could, squeeze them in there, but I don't want to do that. lol I hope they have yours! Now even more reasons to make a New Year's resolution to go on a diet. So I can walk around with this one with mad confidences. I'm also trying to lose weight, and get a bit tinier than my old size! I knooow, I wish they did carry larger sizes. Yet it makes sense, it is to cater to a petite body.